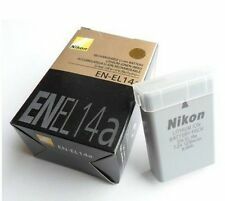 1 x Canon LP-E12 Li-ion Battery. Battery Type Li-Ion. Item Description: 100% New and high quality Half year warranty Products type: Li-ion battery Volts: 7.2V Capacity: Typ:1865mAh Package Includes： 1 x LP-E6N Li-ion Battery Compatible Camera Models: Canon LP-E6 Battery (But LP-E6 is no compatible for LP-E6N) Canon EOS 5D2 5D3 6D 60D 70D 7D 7D2 7DMark II DSLR Camera And more . Canon EOS 5D Mark II,EOS 5D Mark III,EOS 6D, EOS 7D, EOS 60D, EOS 70D, 5D Mark 2. EOS 70D / EOS 60D / EOS 60Da. EOS 5D Mark III. EOS 5D Mark II. Canon LP-E6. Condition: 100% Genuine. Type: Li-ion. Canon LP-E6 Battery (But LP-E6 is no compatible for LP-E6N). Products type: Li-ion battery. 1 x LP-E6N Li-ion Battery. 100% New and high quality. CANON: 60D, 7D, 5D MKII (Mark II). and EOS 6D i 5D MKIII (works like without Chip). Capacity: 2200mAh. BATTERY for CANON LP-E6. 1x Battery. THE SET INCLUDES Type: Li-ion. EOS M Rebel SL1 100D EOS 100D EOS M EOS M2. Fit Canon : EOS M, EOS M2 ,EOS M10, EOS 100D ,EOS-M50, Rebel SL1, Kiss X7. Original Canon LP-E12 Battery. Battery Type: Lithium-Ion. LP-E6 battery x 2. Suitable for extra high resolution 4K uses! Plus it is UHS Speed Class 3 (U3) rated for capturing Full HD and 4K UHD video. Display your high-quality videos on 4K Ultra HD TVs and monitors. 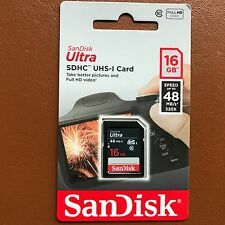 Always Genuine Sandisk! Features: Battery Type: Li-ion. 100% Compatible with original manufacturer equipments. Decoded microchip shows charge status and battery health on camera display. Absolutely no memory effect so that you can charge battery at anytime. Integrated microchip prevents overcharging & lengthens battery life! Capacity: 7. 1 x Haoge Rain Cover (Black). The cover features waterproof zipper and drawstring closure. Lithium-ion battery High quality replacement battery Output voltage 7. LP-E17 Battery:This battery does NOT work with original battery charger;The Charger does NOT work with original battery either.Compatible Part-No. : Canon LP-E17Output Voltage: 7.2 VCapacity : 1040 mAhLCD Charger:QUMOX LCD Dual Slim USB charger, can be powered by USB Wall & Auto Charger or a Computer.New smart LCD design, easy to carry. Input: 5V 2A; Output: 4.2V/8.4V 600mA.Intelligent LCD charger displays charging status and battery capacity.Can be powered by USB Wall & Auto Charger or a Computer, comes with a Micro USB cable.Patented charger with FCC, CE and ROHS certification.Compatible with the following models:Canon LP-E17Canon EOS M3Canon EOS M5Canon EOS M6Canon EOS 77DCanon EOS 200DCanon EOS 750DCanon EOS 760DCanon EOS 800DCanon EOS 8000DPackag. LP-E8 battery:• 100% compatible avec le fabricant et les chargeurs d'origine• un téléphone mobile japonais haut de gamme• Absolument aucun effet de mémoire de sorte que vous pouvez charger la batterie à tout moment• Conception de batterie à faible impédance• Tension de sortie: 7.4V• Amp heures: 1120 mAhCharger:QUMOX LCD Dual Slim USB charger, can be powered by USB Wall & Auto Charger or a Computer.New smart LCD design, easy to carry. Input: 5V 2A; Output: 4.2V/8.4V 600mA.Intelligent LCD charger displays charging status and battery capacity.Can be powered by USB Wall & Auto Charger or a Computer, comes with a Micro USB cable.Patented charger with FCC, CE and ROHS certification. 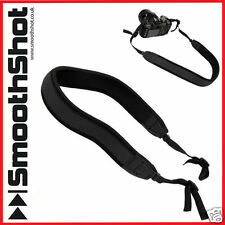 Compatible with:Canon SX500 SX50 SX40 SX30 SX20IS EOS M SX1 G1X. Canon Rebel T5i T4i T3i T2i SL1 EOS 700D 650D 600D 550D 60D. High-quality nylon! Light weight! The real color of the item may be slightly different from the pictures shown on website caused by many factors such as bright of your monitor and light. Capacity: 4000mAh. BATTERY FOR CANON BP-827. 1x Battery. THE SET INCLUDES HF10, HF100, HF11, HF20, HF200, HF21, HFM30, HFM300, HFM306, HFM31, HFM36, HFS10, HFS100, HFS11, HFS20, HFS200, HFS21, HG20, HG21, HG30. NEW Genuine Fujifilm NP-W126S Battery For X-T2 / X-Pro2 X-T5 X-A5 XA3 XE2S W126. XT10 ,XT20 ,XA10 ,XT2 ,Xt3 ,XE2S ,xe3 ,XA2 ,XA3 ,XA5 ,Xt1 ,X100F ,XT100. Genuine Original Fujifilm NP-W126S Li-ion Battery for FinePix HS30EXR, HS33EXR, X-Pro1. FS-Series FS40, FS400, FS10, FS100, FS11, FS20, FS200, FS21, FS22, FS300, FS31. Canon: CG800. 1 x Decoded Li-ion Battery compatible with Canon BP-808. Decoded Li-ion Battery compatible with Canon BP-808. POWERSHOT SX710 HS,SX700 HS,SX610 HS,SX600 HS, SX530 HS,SX540 HS, SX520 HS, SX510 HS, SX500 IS, SX260 SH,SX 280 hs, SX240, D20 D10, ELPH 310 HS ,500 HS, PowerShot SX170 IS,D30 S120 S200 . Powershot SX280 HS, SX270. LCD Charger:QUMOX LCD Dual Slim USB charger, can be powered by USB Wall & Auto Charger or a Computer.New smart LCD design, easy to carry. Input: 5V 2A; Output: 4.2V/8.4V 600mA.Intelligent LCD charger displays charging status and battery capacity.Can be powered by USB Wall & Auto Charger or a Computer, comes with a Micro USB cable.Patented charger with FCC, CE and ROHS certification.QUMOX LP-E12 battrey:High Capacity Replacement LP-E12 Battery for Canon EOS M, M50, 100DThe rechargeable batteries of QUMOX are manufactured to the highest quality standards and are characterized by their longevity, reliability, low self-discharge and yet very good value for money.These high-quality batteries are the result of the lithium-ion technology that is used in the. The rechargeable batteries of QUMOX are manufactured to the highest quality standards and are characterized by their longevity, reliability, low self-discharge and yet very good value for money.These high-quality batteries are the result of the lithium-ion technology that is used in the production. Only 1A cells are used to achieve maximum capacity and product lifecycle.Other advantages of the battery include protection against short circuit, overvoltage and overheating, as well as the lack of memory effect. The battery is 100% compatible, does not lag behind the original battery and can also be charged with the original charger.Product Details:Battery Capacity: 875mAhBattery Voltage: 7.4VBattery Type: Li-ionCompatible with the following models:Canon LP-E1. 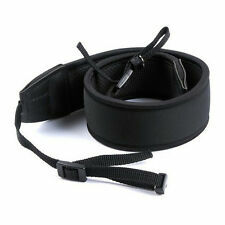 Material: waterproof Neoprene, soft and flexible. 1x Pouch bag only,Accessory ONLY,lens not include! 1 x Soft Lens Pouch Bag XL Size. 1 x Soft Lens Pouch Bag S Size. 1 x Soft Lens Pouch Bag M Size. 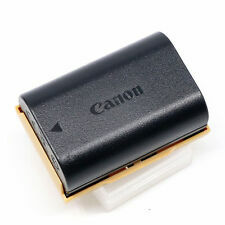 The Canon LP-E8 battery is the official battery for the Canon T2i DSLR camera. Even though the T2i has excellent battery life, it’s always handy to have a back-up around. Every veteran photographer carries at least two spares. After all, isn’t a dead or missing battery the worst way to miss out on a shot? 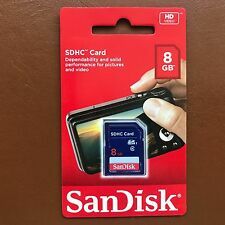 Buy an extra LP-E8 or maybe two to ensure you’re always prepared.A number of other companies also make a Canon T2i battery, but I’ve found over the years that it’s always best to buy the manufacturer’s version. The price difference is usually small and it’s guaranteed to work. Die-hard photographers might also want to pick up the BG-E8 battery grip. The BG-E8 adds support for up two more LP-E8 batteries as well as a.
Genuine Canon USB Data Transfer Cable. Canon part number: IFC-400PCU. 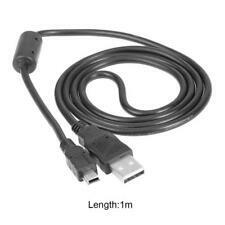 Cable length: 1.3m. Canon EOS 1300D. Canon EOS Rebel T6. Canon EOS Rebel T3. Canon EOS Rebel T5. Canon EOS 1200D. Canon EOS Kiss X50. Canon EOS Kiss X70. Canon EOS 1100D. Canon: EOS 1000D, 450D, 500D, Digital Rebel T1i, Digital Rebel XS, Digital Rebel XSi, Kiss F, Kiss X2, Kiss X3. 1 x Compatible Li-Ion Battery. Compatible Li-Ion Battery. QUMOX LCD Dual Slim USB charger, can be powered by USB Wall & Auto Charger or a Computer.New smart LCD design, easy to carry. Input: 5V 2A; Output: 4.2V/8.4V 600mA.Intelligent LCD charger displays charging status and battery capacity.Can be powered by USB Wall & Auto Charger or a Computer, comes with a Micro USB cable.Patented charger with FCC, CE and ROHS certification.Lithium-ion batteryHigh quality replacement batteryOutput voltage 7.4vCapacity 860mAhWorks with all cameras and camcorders that take the Canon LP-E10 batteryCompatible Cameras:Canon EOS Rebel T3 1100DCanon EOS Rebel T5 1200DCanon EOS 1300DCanon EOS 1500DCanon EOS 3000DPackage included:1 x USB Dual Charger1 x Micro USB2 x Qumox LP-E10 battery Brand QUMOX Com. The case is cushioned, padded and water proof. Water Proof, A lot of spaces for accessories. Product Specification. Impressive performance and UHS-I U3 technology - Ideal for shooting burst-mode photos and 4K videoShoot more high-density image files like RAW or JPEG. 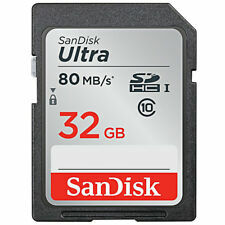 Speeds up to 100MB/s read, 70MB/s write. 4K video — The advanced UHS-I U3 interface and V30 video. Applies to: EOS 5D Mark II III 7D 60D 80D. Material:plastic，Lithium. Colour: Black. Note: Light shooting and different displays may cause the color of the item in the picture a little different from the real thing. Item features: 100% brand new and high quality Keep dust, dirt , water from contaminating your battery Snap-on design, portable and easy to use Ideal for outdoor photography, durable and weather-resistant Item specification: Size: approx. 60*38*17mm Net weight: 0.01kg Suit for Nikon NB-10L / EN-EL9 / EN-EL14, Canon LP-E8 / LP-E5, Sony PSP / CRV3 Material: polycarbonate silicon Item included: 1 x battery case. Compatible With: For Canon1000D 1100D 1200D 100D 400D 450D 500D 550D 600D. Compact size and lightweight, easy for carry. Anyway we will try our best to avoid this kind of thing. Due to the light and screen difference, the item's color may be slightly different from the pictures. IXY Digital 400F, 55, 80, L3, L4. Canon: Digital IXUS 115 HS, 130 IS, 220 HS, 230 HS, 30, 40, 50, 55, 60, 65, 70, 75, 80 IS, i Zoom, i7. 1 x Compatible Li-Ion Battery. Compatible Li-Ion Battery. PowerShot Digital ELPH 100 HS, 300 HS, 310 HS, 330 HS. Canon EOS 550D, 600D, 650D, 700D. Canon EOS Rebel T2, Rebel T2i, Rebel T3i, Rebel T4i, Rebel T5i. Canon EOS Kiss X4, X5, X6i, X7i. 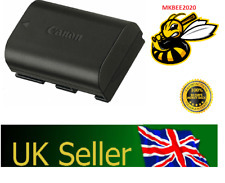 Fits Canon models that use Canon LP-E8 battery It is original Genuine canon battery. Note: Light shooting and different displays may cause the color of the item in the picture a little different from the real thing. Fit for batteries: LP-E10. Canon: EOS 5DS, 5DS R, 7D Mark II, XC10, 5D Mark II, 5D Mark III, 60D, 60Da, 6D, 70D, 7D. 2 x Compatible Decoded Li-ion Battery. Compatible Decoded Li-ion Battery. Unlike the non-decoded batteries, this premium quality Decoded Battery is fully compatible with OEM specification. With Belt Loop. The case is cushioned, paded, and water proof. Simple design for functionality, durability and protection. Material: Fabric. Canon LP-E6 Battery (But LP-E6 is no compatible for LP-E6N). Products type: Li-ion battery. 1 x LP-E6N Li-ion Battery. Note: If sales season, bad weather.may be delayed. You may also like. 1 x Compatible Decoded Li-ion Battery. Compatible Decoded Li-ion Battery. Unlike the non-decoded batteries, this premium quality Decoded Battery is fully compatible with OEM specification. Canon: EOS 5DS, 5DS R, 7D Mark II, XC10, 5D Mark II, 5D Mark III, 60D, 60Da, 6D, 70D, 7D. Canon EOS 80D. Canon EOS 6D Mark II. Canon EOS M10. Canon EOS 5D Mark III. Canon EOS 5D Mark II. SYNC Data Transfer cable for One cable sealed in. Battery Type Li-Ion. LP-E12 battery x 1.